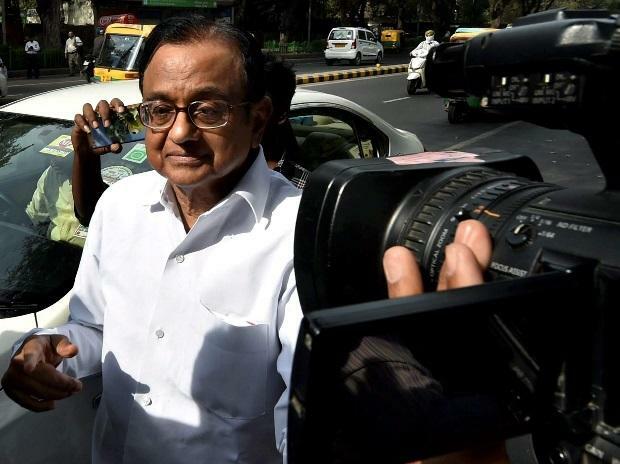 CBI and Enforcement Directorate Friday asserted before the Delhi High Court that custodial interrogation of Congress leader and former Union minister P Chidambaram was required in the INX Media case as he was evasive in giving answers during questioning. The two probe agencies contended that Chidambaram, during whose tenure as finance minister FIPB clearance was granted to a media group for receiving overseas funds of Rs 305 crore in 2007, gave wrong answers and did not disclose the material ought to be in his knowledge. They said they required his custodial interrogation which will be qualitatively different. Solicitor General Tushar Mehta, representing CBI and ED, vehemently opposed the Congress leader's anticipatory bail plea and argued that the agencies were seeking to exercise their statutory rights of arresting him, producing before the court concerned and taking him on police remand to interrogate him. "He is evasive and the answers are factually incorrect. I have made a strong case. For ends of justice, he needs to be examined in custody," he said. The submissions were made before Justice Sunil Gaur who was hearing Chidambaram's plea seeking anticipatory bail in the corruption and money laundering cases relating to the INX Media scandal. He further said that apparently there are five accused in the case and four of them -- Karti Chidambaram, Bhaskar Raman, Indrani and Peter Mukerjea -- are on bail in this case. When Sibal claimed that the investigation was complete in the case and sanction to prosecute was granted by the government, Mehta opposed it saying the probe was still going on and they would require Chidambaram's police custody to confront him with the evidence. Senior advocate Abhishek Manu Singhvi, also representing Chidambaram, said there was no evidence to show that after 11 years of the alleged offence, the leader was a flight risk, threat of tampering with evidence and not cooperating. Mehta argued that money was being laundered till date and it was to be found that how and where the money has been laundered. He said money laundering was a menace and the proceeds of crime are yet to be found out. He also contended that the companies in which money was transferred are directly or indirectly controlled by Chidambaram's son, Karti, and they have a reason to believe that the FIPB approval was granted to INX Media on his son's intervention. Mehta said Karti was acting at the behest of his father was in direct touch with the leader with regard to some transactions. The high court had on July 25, 2018 granted interim protection from arrest to Chidambaram from arrest in both the cases and it was extended from time to time.